Written on August 16, 2018 . Posted in News, Solar Energy, Sustainability. One of the things that often puts those worried about the (very real) issues with solar at ease, is better understanding the pros and cons of solar. This includes how solar might affect your business, bottom line, and environmental impact. Additionally, understanding how to best use solar is imperative if you plan on maximizing your return on investment (ROI). The benefits of solar are mostly commonly known. Not only can they save you incredible amounts of money if used correctly, but they are also a sustainable, renewable emission free form of generating electricity. Solar panels are more reliable than other natural resources, as they depend on the sun rather than a finite Earth resource. Solar panels also often come with a 25 year warranty, and have an ROI of about 10 years depending on the payment plan and system. Additionally most corporate buildings have ample roof space that could easily be used to hold solar arrays. An interesting project by Google called Project Sunroof shows hours of sunlight for the area that is eligible for. The sizable benefits above don’t even take into account the massive amounts of tax benefits that solar and users of solar energy receive. 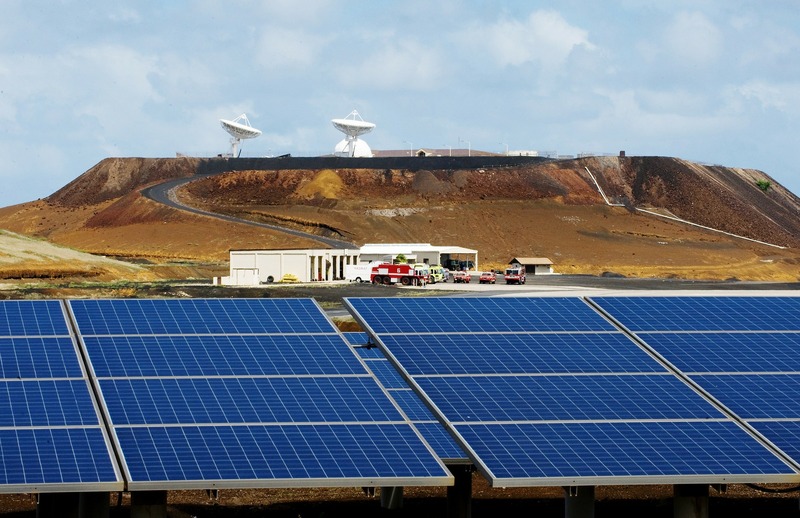 In 2015, a legislation extending the Solar Investment Tax Credit (ITC) was signed into law. The bill extended the 30% Solar Investment Tax Credits for both residential and commercial projects through the end of 2019. The tax credit then drops to 26% in 2020, and 22% in 2021. While residential projects will permanently drop to 0% after that, commercial projects will only drop to 10%. In addition, as long as the project is started before the end of 2023, the bill will allow owners to claim the larger credit. One of the first things to think about before you invest in solar is your location. 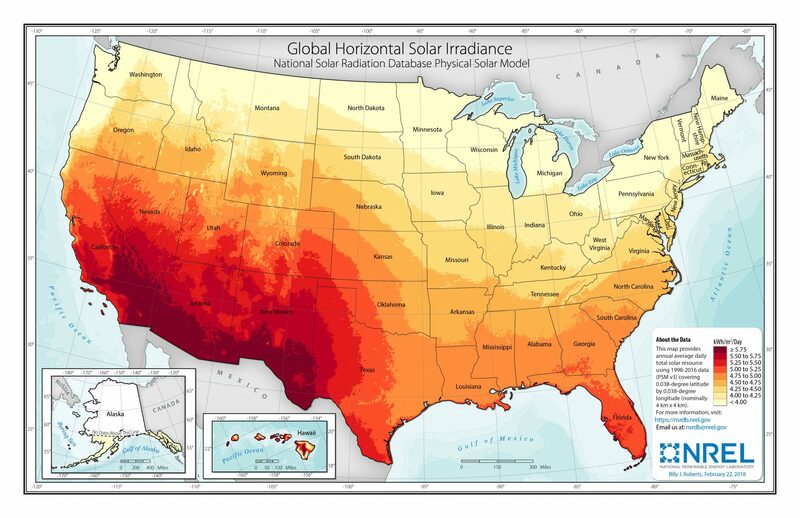 The National Renewable Energy Laboratory (NREL) has released a handy map, displayed below, that shows the amount of sunlight in KWH/m2 that are generated on average in a given area. If you are in what is often called “the sun belt”, or California, Arizona, New Mexico, Texas, Florida or any of the other states in the dark orange part of the image above, the effectiveness of solar energy is vastly different than for those who live in the top half of the country. As a local company in Arizona, in one of highest concentrated KWH/m/Day areas of the whole country, we at Naya Energy feel that solar has incredible importance to Arizona – but only if used correctly. High amounts of sun coverage have benefits other than just increasing heat intensity and number heat islands. The ability to use solar energy to the max is something that comes out of this. Another thing that might make solar an ineffective choice for some is that it is a long term investment with a high upfront cost. The average solar unit costs about $2000 per KW unit to build. This means a 25 KW unit costs about $50k, and a 250 KW unit can cost over $500K to build. That said the expected life of the units is over 25 years, meaning that in most cases, solar ROI can be a large part of the time you have your solar. Solar is not an option that’s available to everyone, so a major con also comes down to location. 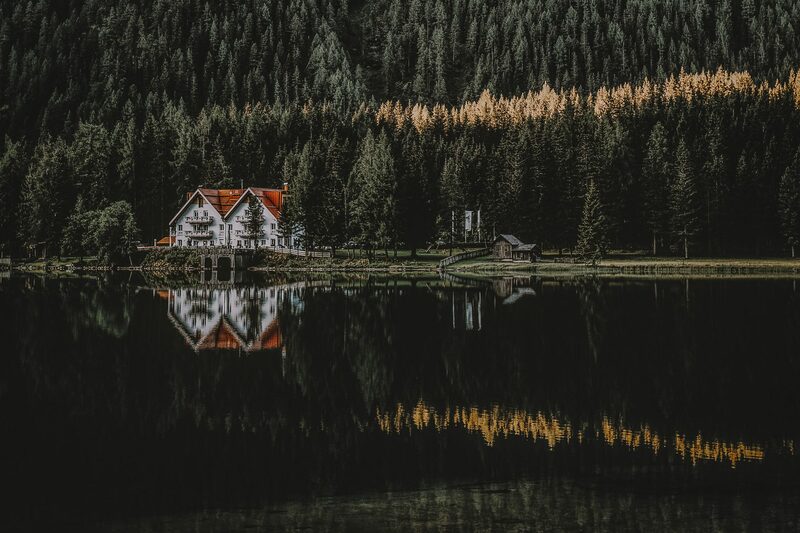 Whether you’re in too close of a proximity to the north pole, or the location you are trying to install solar on is too shaded, or your roof is simply not angled in a way that is conducive to solar, there are many reasons that solar might not be right for you. One of the largest issues that consumers can have with solar is overbuying. In many cases without specific knowledge on how much solar they actually need, solar companies can, and will convince the buyer to “overbuy”. Naya focuses on using a variety of methods to create the best combination of energy to both keep you green and also lower your energy costs. This involves first understanding what your needs are and going from there. Additionally, solar can often create a massive surplus of energy. By utilizing a data driven approach to production and verification, less energy and money is wasted. Naya helps the purchasers of power figure out how much solar is the right amount of solar. To learn more about how Naya can help you, check out this page. By using technology like Naya ESP, purchasers of power are not only are able to better understand how their property consumes energy, but also eliminate one of the main cons of Solar – maintenance expenses. By careful analysis of the data received from the devices, Nayalerts can alert consumers of issues that would be far more detrimental to operations. Naya Energy is uniquely positioned to advise companies on their solar, aiding them in better utilizing the tools available to them. If you’re confused by what to do with your solar, how much is too much, the energy your equipment is consuming, or would like to understand how you can increase the value of your property with energy data, then fill out the form below and a Naya Representative will reach out to you shortly.